Clemson Girl: Quick Poll: What are you wearing to the Homecoming game on Halloween? Quick Poll: What are you wearing to the Homecoming game on Halloween? Vote below and then comment on this blog post and let us know more! 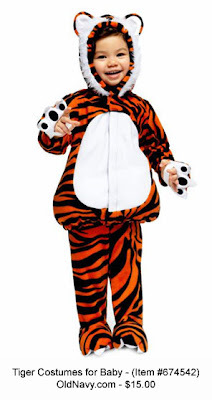 Visit OldNavy.com to see the Tiger Costume. the kids will be wearing Clemson themed Halloween costumes. Think the kids will be able to trick or treat around the tailgating? Will anyone have candy?